Add Crystal Divination Cards to your website. See our crystal oracle and information decks. An illness may be happening to you or someone near you. This time becomes a period of needed convalescence. Take advantage of it. Regroup and reexamine your priorities so you can be more effective in your personal growth. Grounding, Protection, Reasoning, Understanding, Acceptance of Negative Traits, Revitalization after Illness or Stress. 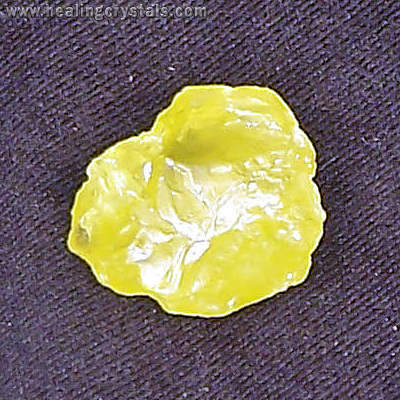 A yellow, powdery, volcanic crystal, usually translucent and occurring in many patterns of crystallization. we do not guarantee any specific results.